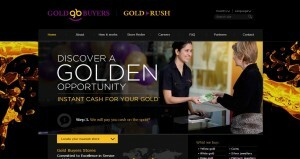 Gold Buyers address, phone, website, hours of operation, and more. Gold Buyers is a business where the genuine care, value, interest and service of our customers is our highest mission. The growth of Gold Buyers is founded on interdependent, long-term relationships with our shopping centre partners. This is the cornerstone of our business, and these partnerships have enabled Gold Buyers to develop valuable relationships with some of the world’s most recognised shopping centre property consortiums. Our stores and carts, in the form of free-standing, purpose-built structures, take prominence in the major shopping complexes throughout our countries of operation. We currently boast over 750 stores worldwide, paying instant cash to many thousands of customers every month, ably serviced by an army of trained gold jewellery appraisers. Gold Buyers is fully committed to promoting genuine care and respect for the environment, supporting local charities and employing local talent for our stores.